Subscription based music service and Apple Music competitor Tidal is months behind on its royalty payments to record labels according to a report from Norwegian news site Dagens Næringsliv that was translated by Music Business Worldwide. 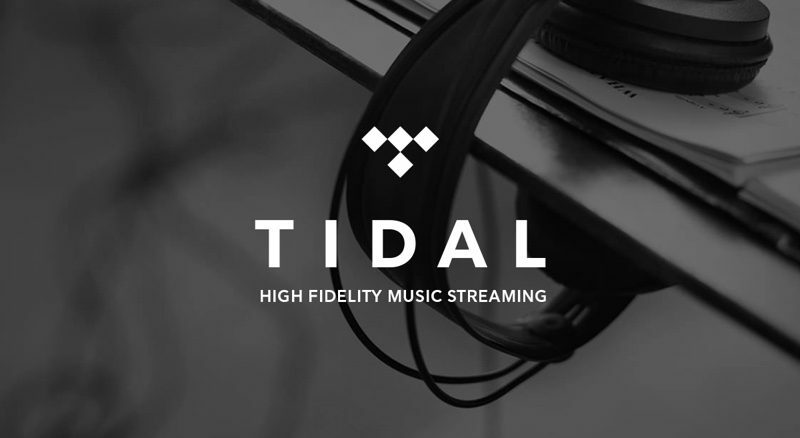 Tidal in December was said to be facing money problems due to stalled user growth, and reports suggested that it could run out of working capital within six months. Dagens Næringsliv has been investigating Tidal in recent weeks and has also accused the streaming music service of falsifying and inflating streaming numbers for Kanye West's The Life of Pablo album and Beyonce's Lemonade album. Tidal claimed that Kanye West's album achieved 250 million streams within 10 days and that Beyonce's album reached 306 million streams within 15 days, figures that were said to be false following a year-long investigation conducted by Dagens Næringsliv and the Norwegian University of Science and Technology's Center for Cyber and Information Security. During the time that Tidal announced the Kanye West album figure, for example, Tidal said that it had 3 million subscribers. At 3 million subscribers, to reach that streaming number, each Tidal subscriber would have needed to play the Kanye album more than eight times per day, as Music Business Worldwide points out. Tidal has called the claims a "smear campaign" of lies and falsehoods, constructed from stolen and manipulated information. "We will fight these claims vigorously," the service said in a statement. this will lower their valuation. Valuation? If they’re behind on bills they’re worthless. Tidal’s quality is noticeablely better since they have lossless quality available, so there’s that. As far as the masses are concerned, I’d quibble with “noticeably” in favor of “except for some audiophiles the difference is negligible and people don’t care.” Didn’t save Betamax and won’t save Tidal. I love lossless music, but Tidal really has to fix the UI. The desktop/web app is a complete joke. Here are only a few of the many issues I have with Tidal. -You have to scroll till the end of a playlist to load all the music. And it loads about 30-50 songs each scroll. Yeah it’s my normal routine whenever I start Tidal. Want to explore new songs and go to a different page and get back? Yup, it’s scroll time again. Oh wait, you forgot to sort by album? You’ve guessed it, gotta get that scroll wheel rollin. -Simply deleting tracks comes with lag. I have the latest 27inch iMac. Maybe it’s running on java or the like, but regardless the end user experience is plagued with lags everywhere for simple tasks. -Shuffling playback does weird things such as only shuffling thru a few songs or at times shuffling only songs below the first song I selected. Its just super buggy. Yes, I’ve seen it shuffle only the last ten songs when I first clicked on the 10th to last song in the list. -Can’t sort or filter new music by genre, artists, etc at various places in the app. I.g. say you want to search new Jazz music under the Masters (lossless) tab. You just get a random list of albums of all genres. Good luck discovering new lossless music. You have to click on each album to see what genre it is, and even then you have to click the info link which may or may not have the information you’re looking for. -Similarly searching music from the search box is pretty basic. Again you can’t filter customize the search results to your liking. -Tidal doesn’t ignore or warn when adding duplicates to favorites (Tracks) or custom playlists. And it’s gets even worse considering the fact that it lags to just remove songs. The desktop Tidal app is a complete joke. Since Apple decided to neglect the the so-called audiophile crowd (for lack of better word), I got no choice but to use Tidal to take advantage of my headphone stuff, but boy is it torture to use their software. FYI, the mobile app is better, which also has to do with the fact that you really don’t do much on your phone other than playing back your playlists. Btw I just really needed a place vent and let out years of pent up frustration and anger from using Tidal. Apple Music competitor? In terms of what? Cause even Spotify isn't a competitor in terms of profitability. Tidal is dying a slow death. Tidal has uncompressed FLAC streaming available, you can't beat the real deal. Noticeably better? Not really. You couldn't tell the difference between a regular AAC 256 kbps file from a lossless one, assuming the same master is used. On my Audeze EL-8 and even my Sennheiser Momentum I can.